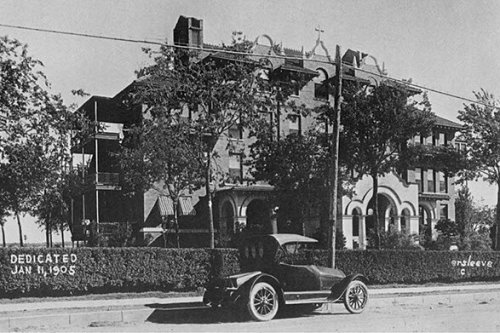 In response to our community’s request, Ascension Providence was founded as Waco’s first hospital in 1905 by the Daughters of Charity of St. Vincent de Paul, as a ministry to serve the community’s sick and vulnerable. The Daughters have lived and worked alongside the community, gracing us with their spiritual guidance, inspirational devotion and dedication to serve the most vulnerable among us. Throughout their century of servant leadership, the Daughters of Charity were instrumental in Providence’s evolution into the healthcare ministry we know today: one that provides a complete continuum of compassionate, high-quality healthcare for people we are privileged to serve. Under their leadership and guidance, Ascension Providence pioneered many of our community’s first healthcare services, including the first open heart surgery, the first stroke center and the first 3D mammogram technology. While the Daughters of Charity made the difficult decision to withdraw from the city of Waco in Spring 2017, ending their day-to-day ministry, they did so with complete faith that the community they served for over a century will continue their legacy of sacrificial service. Ascension Providence was founded by their faith over a century ago, and it is this exact faith that we call upon now to honor the legacy they have entrusted to us through The 1905 Fund. Ascension Providence serves over 1,700 people in Waco and Central Texas each day.